I purchased my 2013 mustang gt usted last year, it came with bolt-ons already. It had a boss intake manifold jlt cold air intake, SW catted long tube headers and MBRP catted x pipe with full exhaust. It had a BAMA tune and came with the tuner. 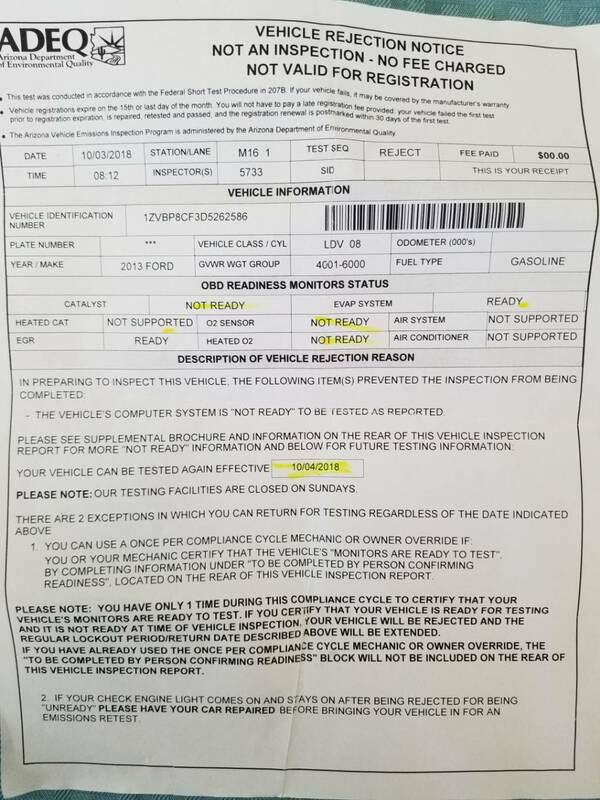 This is the first year it's getting emissions testing and it failed. Catalyst, O2 and heated O2 were not ready. I've followed the drive cycles several times and several miles and obd 2 scanner still shows as incomplete. I contacted the people at BAMA and explained what was going on. They recommended a new tune to ensure that those sensors are ON. I installed and still no luck. Any advice or recommendations are greatly appreciated. I'm thinking of taking it to a local tuner at this point. The people at Bama weren't very helpful after I told I still had the same problem. Just told me to keep driving it. Battery recently died on and had been having problems starting it. Not sure that may be the culprit. Thanks in advance.